Dr Maura Farrell is currently a full time lecturer in the School of Geography and Archaeology, Chairperson of the School’s Teaching and Learning Committee and Director of the MA in Rural Sustainability within the Discipline of Geography. Maura’s teaching reflects her research specialism which revolves around Rural and Agricultural Geography and her interests focus around processes of social, cultural and economic change for rural inhabitants. In 2005, Maura was awarded a Teagasc Walsh Fellowship to study multifunctional dimensions within Irish agriculture, which on completion, achieved the Teagasc Bob O Connor Award for Research Excellence. In January 2009, Maura was appointed Post-Doctoral Researcher and Project Coordinator of the EU Framework Seven Project: Developing Europe’s Rural Regions in an Era of Globalization (DERREG). Dr Farrell’s more recent research focuses on three successful research applications in collaboration with colleagues in Geography at NUI Galway. In 2015, in response to a tender from the Department of Agriculture, Food and the Marine, Dr Farrell successfully led NUI Galway’s bid to run Ireland’s National Rural Network in conjunction with three other national partners. The National Rural Network is highly significant as the Department of Agriculture’s dissemination ‘vehicle’ for the national Rural Development Programme for 2014-2020, worth €3.92 billion. Dr Farrell is a member of a Geography partnership that forms part of a wider European consortium (led by Professor Mike Woods, Aberystwyth University) that won a 5-year Horizon 2020 project in 2016 (Integrative Mechanisms for Addressing Spatial Justice and Territorial Inequalities in Europe – IMAJINE). In 2016, Dr Farrell was also one of three Geography staff who successfully applied for a project under the Northern Peripheries and Arctic Programme, examining peripheral livelihoods and land uses. All three projects have a budget value of over one million euro. Maura has published and presented her research work extensively on a national and international basis and participated in numerous national and international rural conferences and seminar sessions, in addition to being an invited guest on numerous occasions for rural events and conferences. Dr Farrell is currently supervising three fully funded PhD students, with a fourth having successfully defended his PhD research in November 2017. Maura currently supervises two post-doctoral students and one research assistant on the National Rural Network Project. Dr Farrell is extremely active outside university life, having been appointed to committees and organisations both nationally and internationally. These include an appointment by the Minister for Rural and Community Development to the Monitoring Committee for the Action Plan for Rural Development and by DG-AGRI to an evaluation and reflection group for the LEADER Programme. Maura was also appointed as evaluator by the Department of Agriculture, Food and Marine for the European Innovation Partnership for Agriculture. Maura's research background is in Rural Geography, with a primary focus on the nature of agricultural change and rural development. Additional areas of interest include rural return migration, rural gender studies, land use, with a particular focus on forestry and family farming. Maura's research agenda includes both a national and international focus. My Ph.D. research critiqued the role of contemporary extension policies in the Republic of Ireland. In doing so, it questions the reliance on traditional practices in delivering advice and services that facilitate farm families to adapt, adjust and remain economically viable in a sector that continues to be highly vulnerable locally and globally. Using an action evaluation methodology, my research delivered both research and action outcomes. Commissioned by Minister Heather Humphreys and in turn Minister Micheal Ring to development a methodology for exploring the Impact Factors for the Action Plan for Rural Development. In 2016, I successfully led the NUI Galway element of a four part consortium that was awarded the contract to run the National Rural Network in Ireland. The National Rural Network is a support body for the successful implementation of the Rural Development Programme 20014-2020 and was awarded by the Department of Agriculture, Food and the Marine. 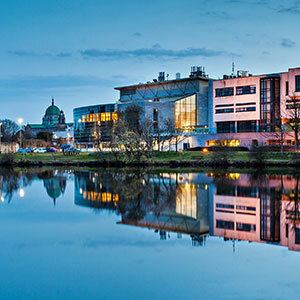 The full project budget of under €2.5 million provides a sum of €298,441.00 to NUI Galway as the lead research partner. In conjunction with three Geography colleagues, I was successful in an application for a Horizon 2020 project to commence in January 2017. The project, IMAJINE (Integrative Mechanisms for Addressing Spatial Justice and Territorial Inequalities in Europe) has a budget of just under €5 million and is one of the largest social science grants to have been awarded in Horizon 2020 or its predecessor Framework Programmes. 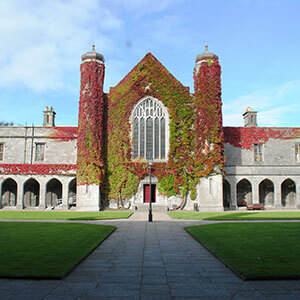 With fifteen other EU partners, NUI Galway was awarded a working budget of €290,128.00. Although involved in two key Work Packages, I will play a lead role in Work Package 5 - Migration and Territorial Inequalities. In 2016, in conjunction with two NUI Galway, Geography colleagues, I successfully obtained an EU Northern Peripheries and Artic Programme grant to commence the BUSK Project (Building Shared Knowledge capital). This seven partner project explores peripheral livelihoods and land uses that depend heavily on natural resources but their management is often contested by various stakeholder interests. 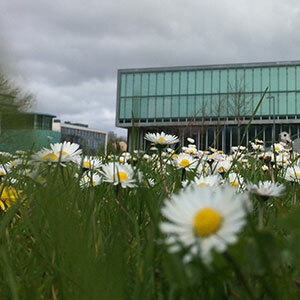 The total project budget is over €1.5 million with NUI Galway receiving €218,973.78. I was successful in collaborating with Pat Kennedy from eConcepts Web Solutions to receive a €5000.00 Enterprise Ireland Innovation Voucher to build an online tool, which contributes to community auditing and development. In 2016, I was successful in receiving a second Enterprise Ireland Innovation Voucher valued at €5000.00 to collaborate further with Pat Kennedy from eConcepts Web Solutions. My previous research agenda was based on the DERREG project (2009). The project was funded by the European Union and aimed to produce an interpretative model that enables researchers and regional development actors to better anticipate and respond to the key challenges posed by globalisation for rural regions. My research focused on three different work packages: International Mobility and Migration of the Rural Population, Environmental Capital and Sustainable Rural Development and Capacity Building, Governance and Knowledge Systems. Under the umbrella of Gender ARC, NUI Galway, I hosted a Rural Gender Education Symposium in 2012, with the intention of exploring a personal research project relating to an exploration of the innovative practices of women in Irish agriculture. The project advanced in 2013 with a literature review, funded by NUI Galway SoGA Research Incentivisation Scheme (Awarded, €800.00). 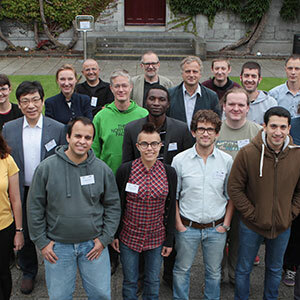 To advance this project further, research networks have been formed with the National Rural Network and University College Cork. Under the CEDRA Plus project, I am collaborating with staff at the Rural Economy Research Centre, Teagasc to explore and evaluate the potential for collaboration among economic and human capital development bodies. These agencies include, amongst others, Teagasc, SOLAS, Local Development Companies, County Enterprise Boards and the Education and Training Boards. As part of this project, I have been successful in leading NUI Galway’s application for a four-year PhD Teagasc Walsh Fellowship, commencing September 2014. I collaborated successfully with Professor Cathal O Donoghue, Teagasc to obtain a stipend of €10,000 per annum from the Royal Dublin Society and €12,000 per annum from Teagasc for a four year PhD award, which commenced in September 2014. I am currently lead NUI Galway supervisor on this PhD project. Using my NUI Galway University Fellow grant, awarded in 2012, I initiated a partnership with Clare Local Development Company and Teagasc to explore the County Clare Wood Energy Project as a best practice model for farm forestry development in Ireland. I was successful in recently receiving a €5000.00 grant in conjunction with my colleague Dr. John McDonagh to prepare a project for the Northern Periphery and Artic Programme. We are currently working with partners from Finland, Sweden, Iceland, Norway and Lapland, in preparation of a land use project. (2013) Perspectives and potential for forestry in Rural Ireland. (2018) Rural Volunteerism: Impacting Development and Sustainability. (2016) An investigation of policies for farm succession and inheritance. (2016) Teagasc Report Series: An investigation of policies for farm succession and inheritance. (2012) Perspectives and potential for forestry in Ireland. In Burdack, J., and Kriszan, M. (eds) use or protect - environmental capital and regional development in the rural areas of Europe: Research findings and experiences from the EU project DERREG. Ifl FORUM 17. (2011) Synthesis and Contextualisation of Research and Development of an Interpretative Model. (2011) Developing European Rural Regions in the Era of Globalization – Case study Contextual Report 8, West Region of Ireland. (2017) Unearthing Stumbling Blocks to Farm Succession & Land Mobility. (2015) Entrepreneurial leadership and governance for the development of rural regions. Regional Studies Association Annual Conference, Piacenza, Italy. (2013) Crtitical perspectives on civil society as an agent of rural development. (2011) Sustaining the rural – challenges in an era of globalization. (2011) Perspectives and Potentials for Forestry in Ireland. (2011) Forestry in the West of Ireland: Potential for Rural Development or Unattainable Pursuit?. (2011) Shaping interventions for sustainable rural development. (2011) Flexible governance for rural capacity building and sustainable development. 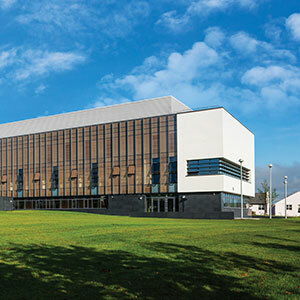 (2011) Regional Learning and Rural Development: Case Study Area – BMW Region/West of Ireland. (2011) The DERREG project: Gender Issues. (2011) Developing Europe’s Rural Regions in an Era of Globalization. 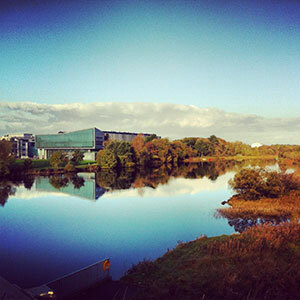 (2011) Environmental Capital and Sustainable Rural Development: Case Study Region – West of Ireland. (2010) Opportunities and Challenges Facing Return Migrants in Rural Areas: an Exploratory Study. (2010) Exploring the Experiences of Returned Migrants: Negotiating Opportunities and Challenges in Rural Ireland. (2010) An Exploration of the Opportunities and Challenges Facing Irish Return Migrants in Rural Areas. (2008) The Options for Farm Families Programme: Rhetoric and Reality of Change The American Association of Geographers Conference Boston. (2007) EUGEO 2007, Amsterdam, August 2007. “The Changing Face of Irish Agriculture: A Challenge for Extension Advisory Services”. (2007) Conference of Irish Geographers, Dublin, May 2007. “Irish Agricultural Change – Reflected in the Extension Advisory Services”. (2007) “Options for Farm Families Programme: Realistic Evaluation Framework”. Irish Evaluation Conference. (2017) Supporting the contribution of women in rural areas. 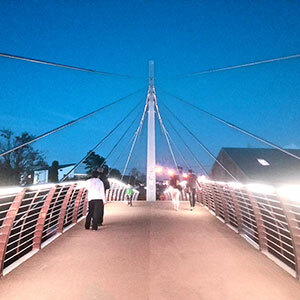 (2016) Shannon Arts Development: LEADER Case Study. (2016) IT Sligo Plays Key Role In European Boost for High Nature Value Farmland Innovative solutions for supporting high nature value areas. (2016) Fifth National Rural Network Meeting – Arts and Culture in Rural Areas. (2008) The Challenge of Implementing a Multifunctional Advisory Programme Teagasc Student Presentation Day (Winner of the Bob of Connor Agricultural Economics Award). (2007) Student Presentation, Athenry May 2007. “Rural Restructuring and Agricultural Change – Determining the Role of the Irish Extension Advisory Services”. (2007) Walsh Fellow Student Presentation, Dublin November 2007. “Programme Evaluation within Extension Advisory Services: The Challenge of Change”. (2006) Irish Agricultural Change and the Role of the Irish Extension Advisory Services Teagasc Student Presentation (Winner First Year Student Prize). (2008) Agricultural extension advisory services: The challenge of implementing a multifunctional advisory programme. The Rural Economy Reserach Centre Working Paper Series. With regard to teaching and pedagogy, I have experience at both undergraduate and postgraduate levels. Since 2012, I have co-directed and coordinated the MA in Rural Sustainability. During this time, my teaching portfolio has expanded to encompass the design, coordination and delivery of four MA modules (TI502, TI503, TI505 and TI506) and my collaboration on two further modules (TI504 and TI507). These modules were designed to ensure a programme ethos of theory, research and practice for graduates who are interested in furthering their knowledge and ability to influence rural process, policy and practices. The delivery of these modules resulted in community engagement experience and collaboration with national organisations such as, Teagasc, Solas, Local Action Groups, Pobal and local community groups, and internationally with Charles University, Prague. I have extensive experience at undergraduate teaching, commencing in 2006 with contributions to both 2nd and 3rd year courses. This experience includes devising and teaching my own modules in addition to contributing to team-teaching within the Discipline of Geography. In 2012, I also had the opportunity to teach as an invited rural specialist Lecturer at St. Patrick’s College, Drumcondra. To support my teaching agenda and develop my ability as an effective lecturer, I completed the Postgraduate Certificate in Teaching and Learning in Higher Education in 2011, and I am in the process of completing the Postgraduate Diploma in Academic Practice with the Centre for Excellence in Learning and Teaching, NUI Galway. Both courses, in addition to several other teaching development courses, have encouraged me to foster a culture of excellence in teaching and learning and invigorated me to apply innovative teaching methods; appropriate assessment techniques and valuable student feedback practices. Innovative teaching methods have become the norm for me, with the use of Facebook and Twitter, in addition to making extensive use of Blackboard, particularly using the Grade Centre to track student progress and provide prompt and pertinent feedback. § Appointed by Minster Alan Kelly and Minister Ann Phelan to a Government expert advisory group to assist the development of rural development policy and implementation of the Government’s CEDRA report. § Appointed to the Irish Rural Link Board of Directors in 2014 § Appointed to the Teagasc Rural Development Stakeholders Group in 2013 § Collaborated with and continue to work on papers, teaching and research opportunities with eight different research partners from the DERREG project: Aberystwyth University, UK; Nordregio, Sweden; University of Ljubljana, Slovenia, Mendel University, Czech Republic, Universität des Saarlandes, Germany, Leibniz – Institut für Landekunde, Germany, Wageningen University, Netherlands and Institute NeVork, Slovenia. § Over the last two years, I have worked with Professor Radim Perlín, Dr Jiri Vágner, and PhD student, Marie Syrovátková, Charles University, Prague in devising an MA International Field Based Learning trip to the Czech Republic. § I have formed an alliance with Brandon University, Canada in relation to research work for PhD student, Jack Lovell.